Stori Aperitivo Bar is a restaurant and lounge located in the King East neighbourhood of Toronto. 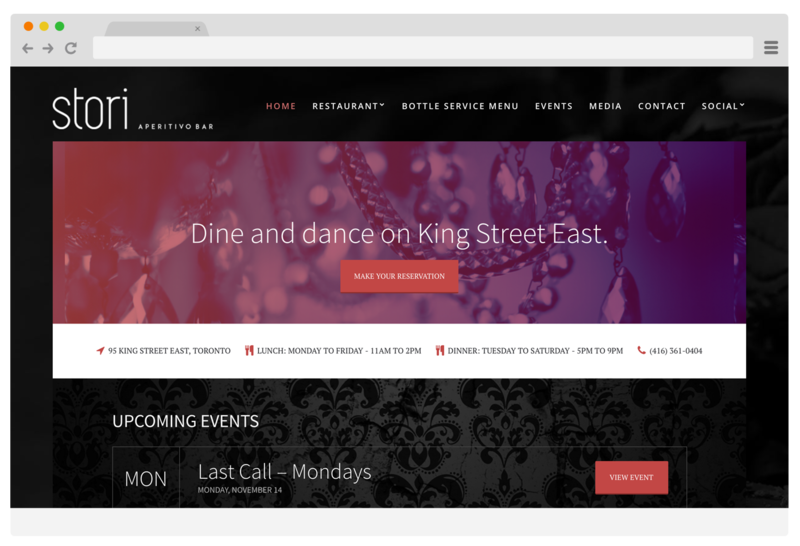 They were looking for a web presence that presented their array of nightly events in addition to details about their food menu. We delivered a tasteful web presence that highlights the restaurant’s interior decor. Site was built with WordPress and includes upcoming events listings and reservation forms.